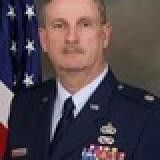 Dr. (Lt Col Ret) Michael L. Thomas is currently assigned to the Air Force Cyber College as a Professor of Cyberwarfare Studies, stationed at Maxwell Air Force Base, AL. Immediately prior to the current assignment he was working ISR related projects for SPAWAR LANT in Charleston, SC. In this capacity he was responsible for the design, implementation and fielding of major network projects initiated by the Navy, sister services and other US government customers. From 2005-2016, he served in the SPAWAR Europe’s Office supporting EUCOM and HQ USAREUR in Geospatial Engineering. Activated in March 2007 to September 2010 he was on detached special duty and served tours at the Pentagon, as a Defense Threat Reduction Agency (DTRA) LNO to the Joint Special Operations Command (JSOC), and lastly was assigned to the Air Force Institute of Technology (AFIT) as an instructor teaching Cyberwar courses. He also currently serves as faculty at Penn State University World Campus teaching GeoInt Courses in the graduate school. Check out the incredible speaker line-up to see who will be joining Lt Colonel Michael.